Get a serviced and tested buffer board LJ92-01491A / LJ41-05121A / BN96-06520A, but make sure to read the warranty conditions first! IMPORTANT DISCLOSURES! PLEASE READ THIS LISTING IN FULL! Coppell TV Repair LLC offers you a serviced and tested upper buffer board Samsung LJ92-01491A / LJ41-05121A / BN96-06520A as shown on the picture. It is used in a number of 50'' plasma display TVs based on the Samsung W2A plasma display. While fully functional, a serviced board is not a recommended substitute for a brand new board for reasons explained below and at length at our blog. It can, however, be a low-cost solution in a short term or a good testing device for service technicians. Please make sure to read the below disclosures before placing an order as doing so would constitute agreement with them and our sale conditions! TVs containing this board are notorious for failing and when they do it usually starts with that particular board and then spreads to the Y-Main board as a colateral damage. TVs where the board(s) have failed usually have sound, but no image or, depending on the Y-Main failure, they may refuse to come up at all until the Y-Main board is disconnected from power. The buffer board in particular usually has visible signs of a burn on one or more of its ICs. This is a used and serviced board on which usually one (and sometimes more) ICs have been replaced. The board has been serviced and tested in a live set for at least 20 minutes by Coppell TV Repair LLC prior to being slated for sale. You must know that the remaining original ICs on the board are worn out and near the end of their life, thus effectively decreasing the life expectancy of the board. For that reason, and also because an improper approach to the repair proces (e.g. failing to ensure the Y-Main board is functioning properly before attaching buffer boards to it) can result in damage to the boards, THERE IS NO WARRANTY FOR THE BOARDS PURCHASED THROUGH THIS LISTING! If you want warranty you can use the repair service we offer (see the related titles section at the bottom of the page), which calls for submitting the Y-Main LJ92-01490A (or LJ92-01399A) along with the two buffer boards for inspection and requires replacing the buffers with brand new ones in order to guarantee proper functionality of the set in a long run. Again, THERE IS NO WARRANTY FOR THE BOARDS PURCHASED THROUGH THIS LISTING! If you doubt that we will sell you a malfunctioning board you have two options: either do not buy or ask us to make a video of the board we are going to send working in a live set. We do not warrant DOA cases either since an improper or incomplete repair of the other boards in the TV may and is known to cause instant damage to the buffers (sometimes one and most of the times both). Price includes shipping with USPS First Class mail within USA. Q. 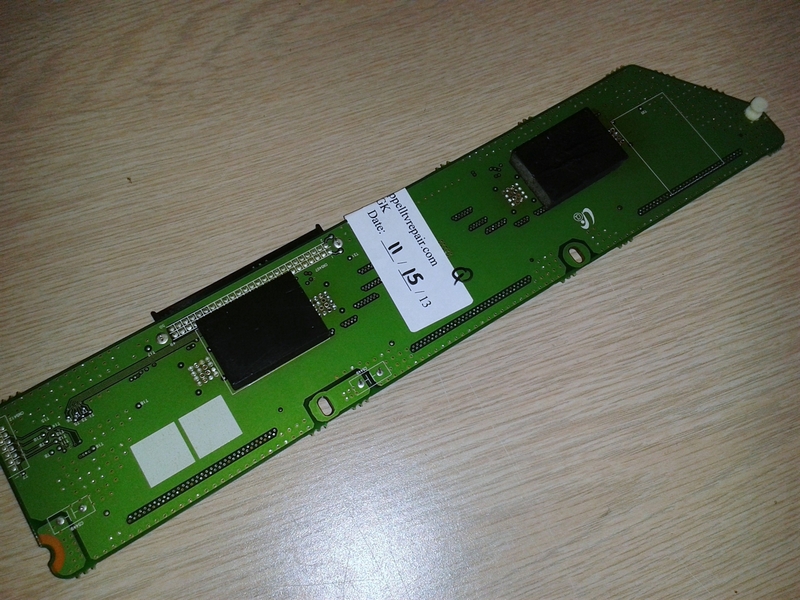 Do you sell brand new buffer boards LJ92-01491A or the pair? A. We used to, but we do not anymore since about early to mid 2015. Samsung and its distributors have raised the cost of new buffers so much it doesn't make sense to recommend it anymore. A new buffer is definitelly better than a serviced buffer, but not if it costs an arm and a leg or if it is installed without making sure the rest of the system won't cause it to fail. It is your call if you want to seek and try your luck with new buffers which, again, are the better option in comparison with the ones from this listing. One last advice - beware of eBay sellers advertising new buffers and selling old ones! Alas no easy way to tell which is which. Simply put we do not expect to find those particular boards brand new on eBay. Q. The buffer you sold me is defective, I want my money back. A. THERE IS NO WARRANTY FOR THE BOARDS PURCHASED THROUGH THIS LISTING! However, if you have a horizontal line or a strip you may keep on reading. Q. After installing the buffer board I have one hair line through the screen (may be a wider section too). A. Unplug and plug back all the display connectors, make sure to press them evenly at both sides. If that does not solve the problem disconnect and inspect the display connectors to see if there is a twisted, obstructed contact. If nothing helps return the buffer back to us at your own cost and pray we see the same problem here - if we do we will send an exchange.